Grinda - A new fish! Out to Grinda for the day. 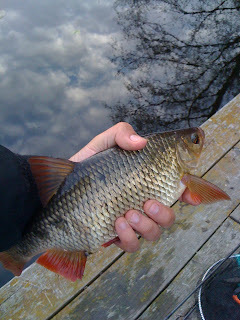 Not really fishing planned but took a rod along, fished ledgered worm in very deep water. Was very surprised by the two fish cought! I've never seen anything like this before. Apparently called a Hornsimpa and very rare these days in Swedesh waters, they are a protected species and normaly live in very deep water. A very strange looking fish! 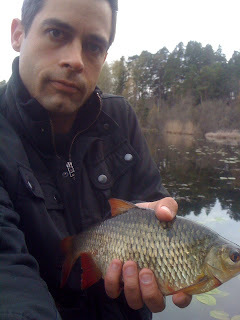 I didnt weigh the two caught and the swedish record is only 330 grams. First time at a new spot today, was talking to a guy walking his dog while fishing at Kyrkviken and was told this small lake was full of specimen Rudd so decided to check it out. After a slow start I started getting bites although extremely hard to strike on, very slow bites with the float sliding slowly into the water. 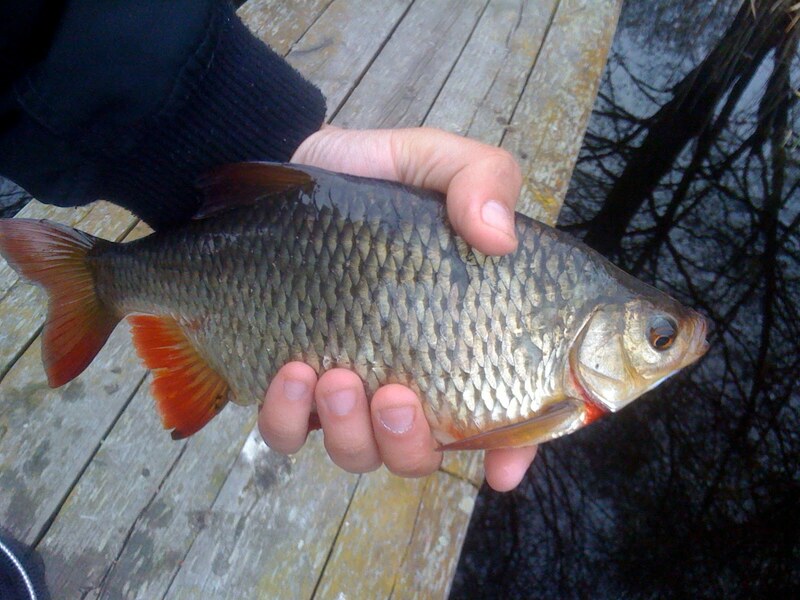 After some trial and error the fish started coming in. 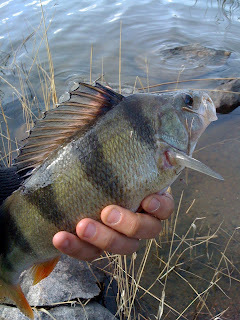 To my surprise I cought ONLY Rudd during the whole evening... Around 20 fish in the most perfect condition I have ever seen. The two largest weighing in at 1lb 7oz and 1lb 12oz! Specimen fish. Back today and tomorrow for another try as i'm sure there are even bigger ones here for the taking! I'll try and remember my camera next time so I can get some decent pics, its pretty much impossible with the iphone!